Printing keyboard shortcut icons onto silicone keyboard cover? A lot of programs I use have handy keyboard shortcuts but I use so many different programs that I just can't remember the majority of the shortcuts. My favourite solution would be one of those $2000 USD Optimus Maximum keyboards with an OLED display inside each key which changes depending on what program you're using. However, I'm a baller on a budget and the best I can afford is this $1 USD silicone keyboard cover which I was thinking I could put shortcut symbols onto and then swap with others when changing application. The problem I want help to solve is how to apply the symbols cheaply but in an aesthetically-pleasing way. The only way I can think of is to print them out on paper and cut them out and glue the little squares inside the cover but there's nothing aesthetically-pleasing about that. Are there other ways to cheaply apply coloured print to such silicone covers? We don't inherit the Earth from our parents; we borrow it from our children. Re: Printing keyboard shortcut icons onto silicone keyboard cover? Seems there exist special paints for painting masks (as in Halloween masks and movie props). 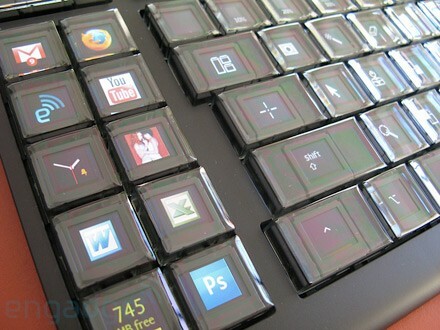 I kinda like the paper cutouts idea... allows full color graphics like the fancy keyboard. Yeah, it looks like it's probably going to have to be paper cut outs. I wonder what adhesive to use. While searching, I found that someone said that cyanoacrylate would work... But it's not exactly flexible. Maybe using a pen-style applicator, small dots of adhesive at the corners could work. Gorilla-glue (polyurethane) also comes in a pen-style applicator. Do you mean that you can actually type with that cover over the keys? If it's anything like the early cell phone protective covers (the ones I remember had sort of a plastic sheet over the keypad) I would find it hard to use. I could only press the keys through that plastic cover by using a long thumbnail. Otherwise I would hit the wrong keys. Or is this just going to sit beside the keyboard that you can glance at when you need a hint? If you mean it's going to be on the keyboard while you type, I would put the paper underneath, rather than on top. Otherwise, the wear and tear from your fingers, and skin oils and stuff, will wear away the drawing on the paper, pretty fast. How flexible is this silicone? I only know about the kind of silicone that you use to fix leaks, it dries kind of rubbery-hard. If it's very flexible, and it only costs a dollar, maybe you could put the tiny bits of paper in between 2 of them, nested together? Then you could make the pieces of paper big enough to wedge them into the key cavity (between the 2 covers), and not worry about what kind of adhesive to use. The 2nd cover would hold them in place. I wonder if you could use the leak-fixing kind of silicone to attach the paper? Yeah, I want to put the cover on top of the keys. I won't be typing with the cover on; I'll remove it when I'm not using Inkscape. I do intend to put the labels on the inside of the silicone so they will be protected. I guess that early cellphone buttons were harder to press anyway but I don't anticipate any issues in this regard. I've only just ordered the covers so I won't know for sure just how flexible it is for a few weeks. I did order two so I can try nesting them. Please keep us posted. I'd like to do this as well if it's easily managable and durable.